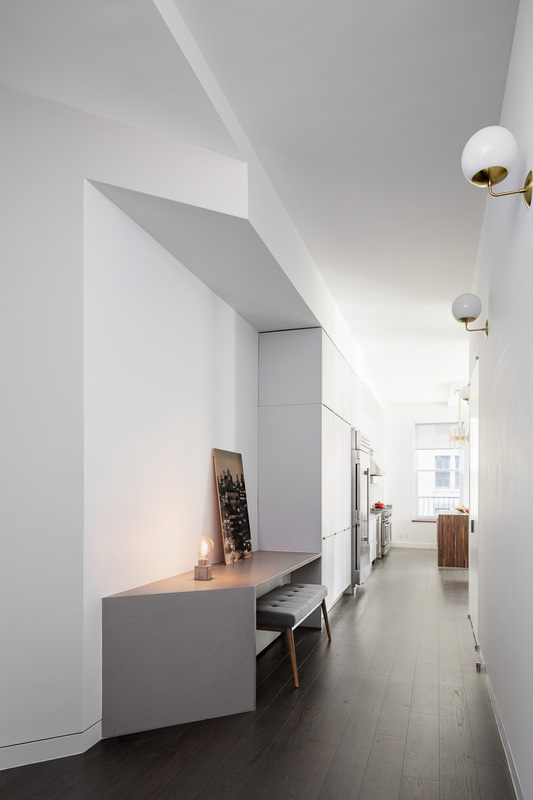 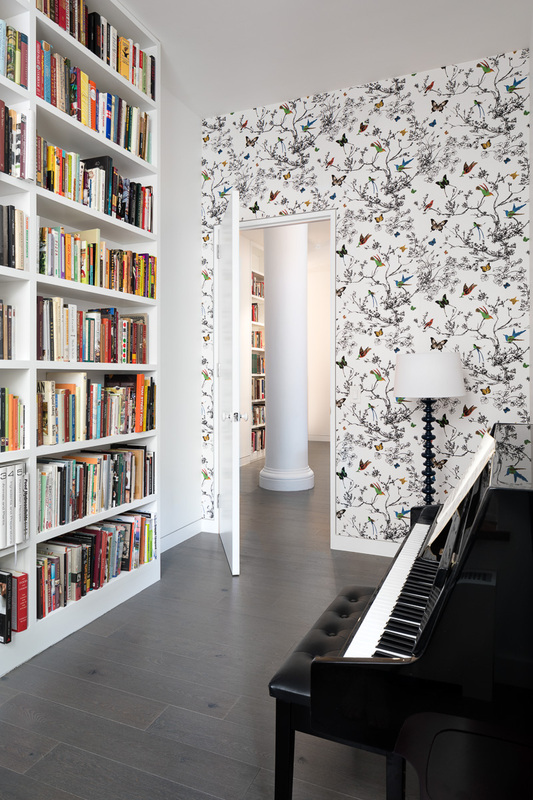 The challenge of this pre-war apartment gut renovation was how to add a separate study room while also significantly expanding the kitchen to suit the chef owners -- without compromising the openness of the communal spaces. 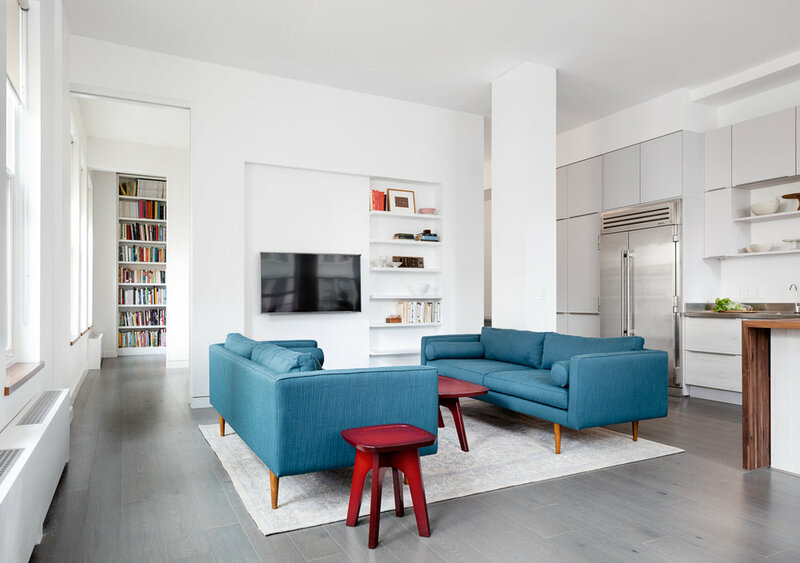 We achieved these goals with two major interventions: first, we made large scale sliding door openings into the rooms along 18th street so that the views and light extend almost the entire length of the apartment from the living space. 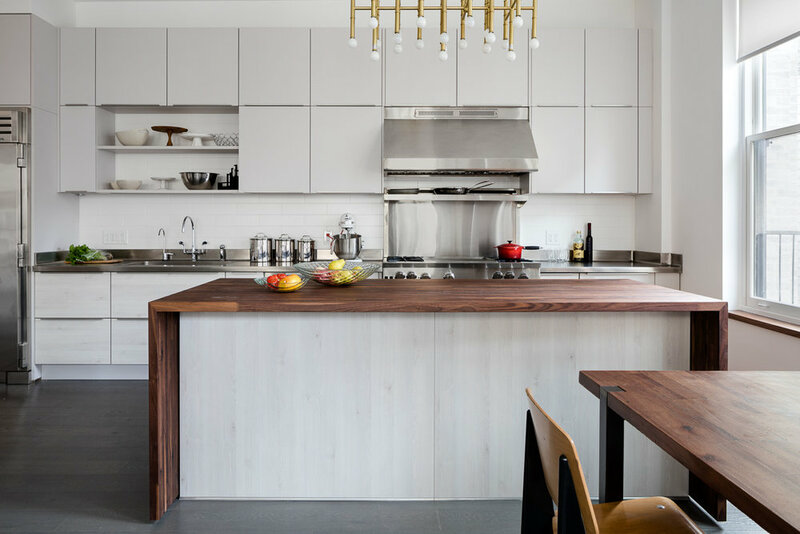 Second, we completely relocated the kitchen and extended it along most of the north wall, adding a walnut-clad island as a division between the dining and prep spaces.